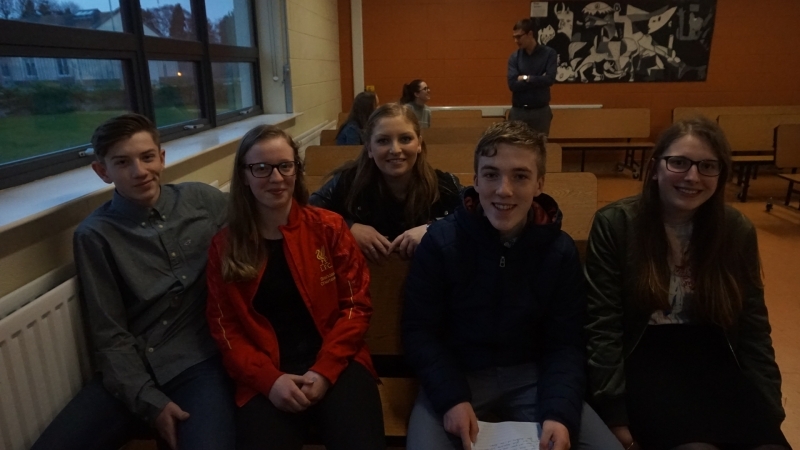 On the 30th of March 2017, our four TY Jigsaw Peer Educators (Sam Nolan, Alex Nolan, Eoghan Quill and Stephanie Ghiba), attended a celebration in Donabate CC. 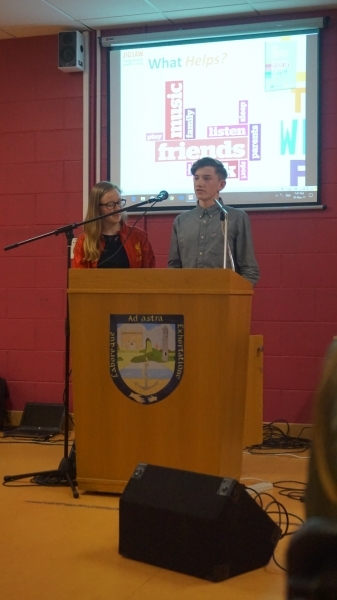 The celebration was to recognise their efforts as peer educators to teach their fellow peers about mental health and how to cope and seek help. 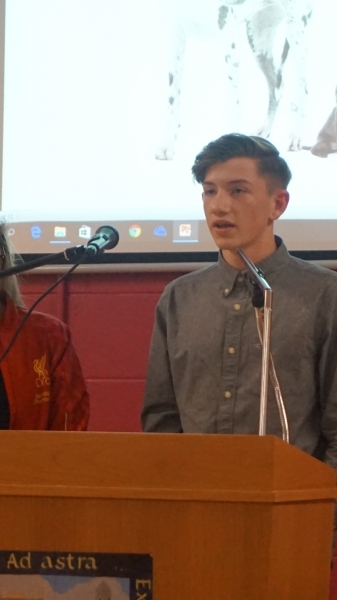 On the night, Sam and Alex spoke of their experiences of the peer education program to the audience. Both students found it to be a great benefit to themselves, but also to the 13 classes from 1st and 2nd year that they have visited. 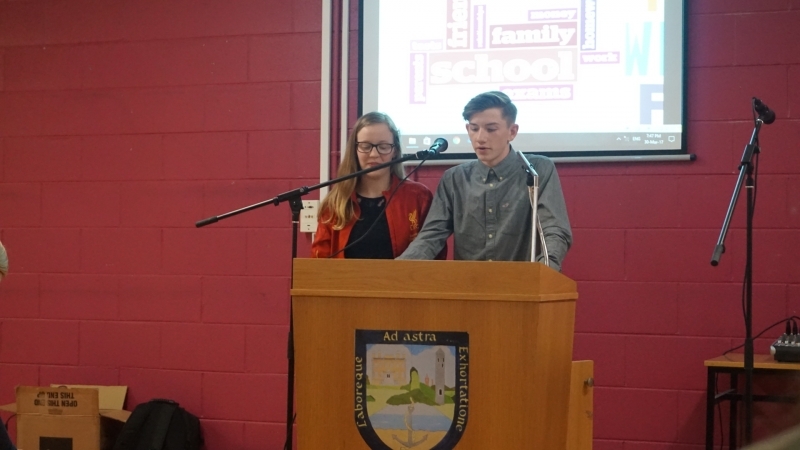 They hope to present their information on mental health to next years incoming first years as well. 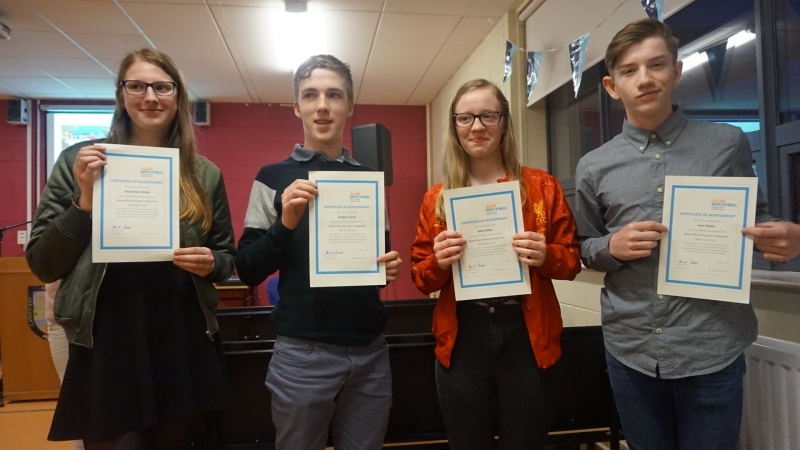 Our four TYs received certificates from Jigsaw to recognise their efforts to support mental health in the school community.